How many times a day, week or month to you wish you could escape from your everyday life? It’s okay for you to feel that way! Everyone needs to take a step out of the routine, the stress, even family drama. Fiction is an easy way to escape without spending a lot of money. No travel involved unless you have a great place to sneak away with a book. Even reading nonfiction can be an escape. Are you a step-mom with stress oozing through your pores? You aren’t the only mom step or even biological mom that feel this way! It’s good to pick up a book on blended families and find out you aren’t alone. Fiction can take you on a time travel with historicals or set you in someone else’s life where things work out in fun surprising ways. 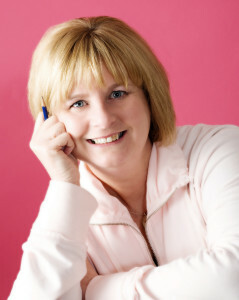 Christian author, Diana Lesire Brandmeyer, writes historical and contemporary romances. Author of Mind of Her Own, A Bride’s Dilemma in Friendship, Tennessee and We’re Not Blended-We’re Pureed, A Survivor’s Guide to Blended Families. Once widowed and now remarried she writes with humor and experience on the difficulty of joining two families be it fictional or real life. Stories of love, blending and bonding. Currently two cats decided to call our house their home. I love dogs but don’t have one right now. I like to ride bike trails with my husband. I hate to clean house. I could live on Diet Dr Pepper and cotton candy. Friends are like gold to me. I am gluten-free and not by choice. I spend time preserving my family history through digi scrapping using Photoshop Elements. I love to sew and quilt.